Being outdoors is always something fun for kids. There are so many amazing things that they can learn just from being outside especially in the garden. They learn why a caterpillar could turn into a butterfly, how bees help to pollinate plants and how a compost bin can turn into a worm farm. 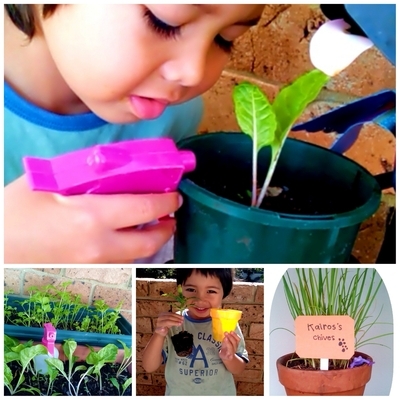 Another positive aspect to teaching kids about gardening, is helping them to grow their own food that they will then eat, which can be a great benefit to getting them to eat more vegetable. All of these accomplishments will make them feel like they have something to proud about when the harvest time is coming. Children always take pride in the things that they make themselves. Consider choosing vegetables that they can eat straight from the plant like tomatoes or little fruit plants like strawberries that will always be awesome for kids. Teach kids that being a gardener is about growing and caring for plants, a little bit of work and lots of patience. Best of all there's a lot of dirty fun with unique equipment and tools. Explain to children how beautiful a garden can be when flowers are blooming, plants are growing, and animals are busy hiding under all the small rocks. 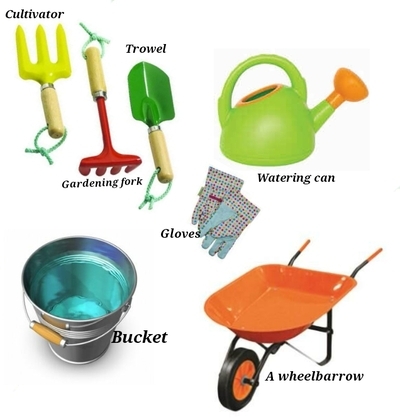 Tell children that the garden is something alive with nature activity,with some living examples of plants and also animals like bugs, spiders and lizards, but that there are also some non living elements like water and soil. If you are in an apartment, don't let that stop you from helping your kids to be little gardeners; you can always grow plants in pots or other cute containers and put or hang them in your balcony. Lots of different plants can be grown in pots as well. Shopping around with kids for cute shape pots can also be something fun to do if you have the budget. Otherwise, search around the house for containers that can be used in the garden. 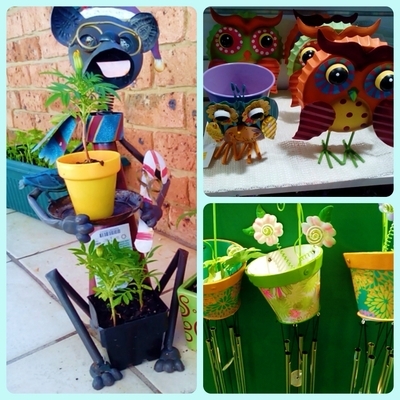 Keep looking for unusual containers for the most interesting garden. An old toy truck could be used for bigger plants and maybe recycle tea cups for growing seedlings. To be successful in growing plants really healthy soil is the ingredient key. Worm composting produces soil with rich nutrients and an ecosystem compost is useful for erosion control. 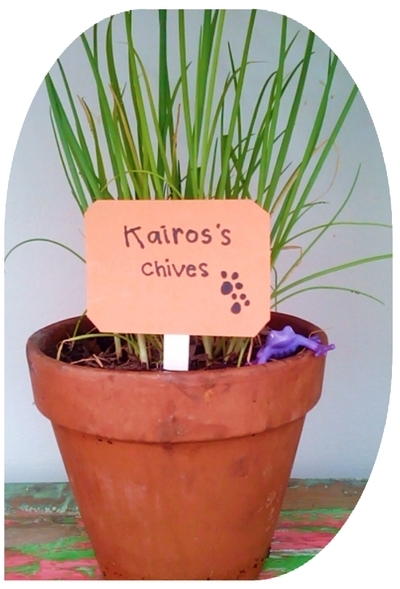 From here kids can learn about the environment; about how to recycle and to be supportive in keeping their plants alive. Instead of calling it a compost bin, have fun with the kids by calling it worm farm. 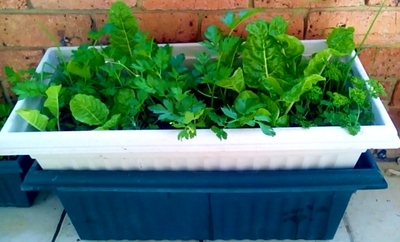 To set up up a worm farm you will need a container box with a lid otherwise you can just use rectangle shape pot planter. Punch some holes in the bottom of the pot and set set the pot on two bricks, lay some soaked newspaper on the bottom of the pot. Add garden waste like old leaves and soil, then kitchen waste like banana peel, potato peel, coffee ground, tea bags and egg shells. Avoid meat , fish or dairy product, oily scraps, and onion or acidic things. Another layer is the bedding from moistened dry waste like wet newspaper that being squeezed. Tear paper into strips and layer inside the pot. Done with the bedding now time to sprinkle some wiggler worms and some soil, mix it evenly and make sure it's fluffy enough for the worm to move. The last layer is wet paper towel on top and put something over the pot as a lid or simply put another same shape pot with plants on it to make it looks nicer. Make sure your worm pot is always in shady area. Let kids discover more things from nature, getting green fingers and playing in dirty fun. 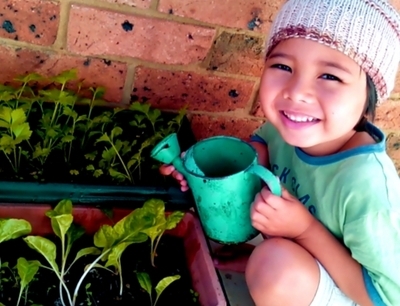 What do you kids enjoy about gardening? Im not good at gardening either. Lol. I'm trying to overcome my gift of killing all living plants so that my son gets to enjoy what he grows! I don't know why I'm such a terrible gardener!